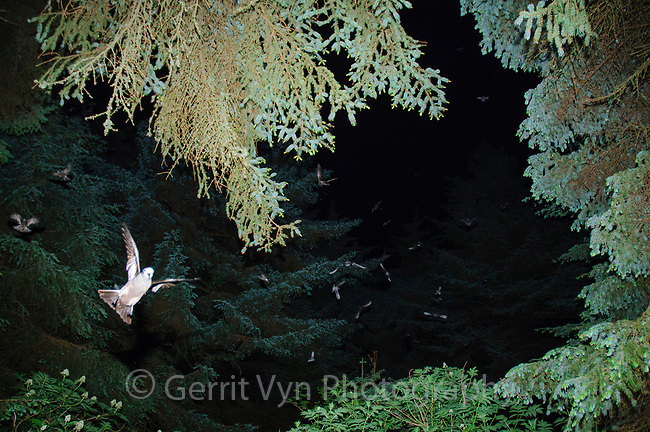 Nocturnal arrival of Fork-tailed Storm-Petrels (Oeanodroma furcata) at their island breeding colony. St. Lazaria Island, Alaska. June.